Iran is an Asian country, having borders with Iraq and Turkey in the west, with Turkmenistan, Azerbaijan and Armenia in the north,with Afghanistan and Pakistan in the east. During the current war in Syria, Iran is a strict supporter of the Bashar al-Assad regime. Syrian and Iranian cooperation has been going on for over a quarter century. Despite domestic political transformations in both countries and changeable situation around them, the relations between Damascus and Tehran have only become stronger and closer. 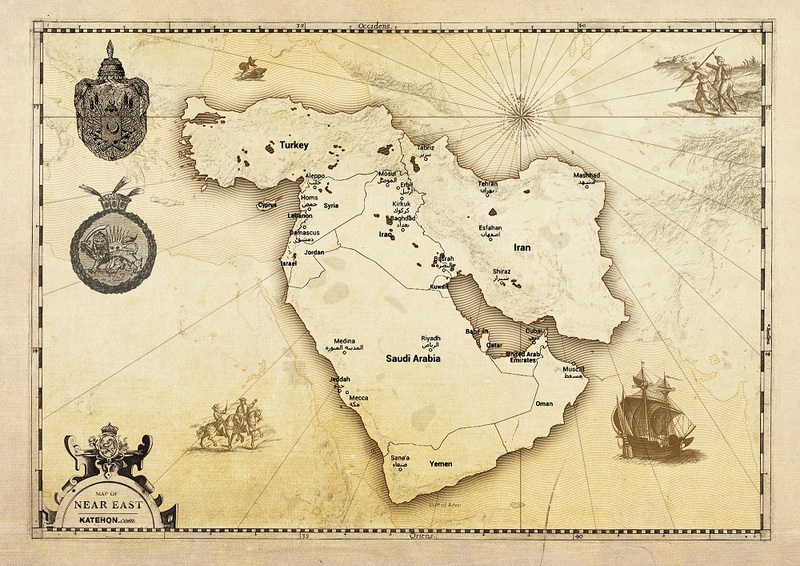 The basement of the Syrian-Iranian cooperation is the common regional interests and similarity of positions on the key issues in the Middle East. Iran and Syria became closer in 1980,as both countries had common hostility to Saddam Hussein Iraq, and the tough position on the United States and Israel politics helped to the maintain the alliance. Iran is a recognized leader in the Shiite world. About 89% of the population is members of this branch of Islam; Sunni Muslims are about 9%,other religions – 2%. At the same time, Iran is the supporter and protector of Shiite Muslims in Bahrain, Kuwait, Yemen, Turkey, and even in Saudi Arabia, those countries where Shiites are the minority. With the support of the Shiite community, Iran may affect the politics and economy of the Middle East Arab countries. Their opponents Sunnis are not satisfied with the fact. For example, in Saudi Arabia the Shiites live in so-called "oil" regions,and their presence is regarded as a threat to the economic welfare of the country. Iran's interests in Syria are understandable. The country needs direct access to the Mediterranean, which holds great geopolitics prospects. Iran established connection with neighboring Iraq. The Hezbollah and the stable position of the Shiite community provide strong positions in Lebanon. The only weak alley is Syria which became a hotspot of armed conflict. Syria remains one of the few counties with anti-US and anti-Saudi ideology in the Arab world. If Bashar al-Assad's regime loses its power, Iran's position will suffer. As Iran is the main ideological, military, economic and political opponent of the Saudi Arabia, following Washington, in the Middle East. Hassan Rouhani, the Iranian president: "Interference of some countries in internal affairs of others and an “instrumental approach” to violence and terrorism are two main problems which would pose challenges both to the region and the world. Powerful and influential countries in the region should not impose their views on regional states and meddle in their domestic affairs." Oil reserves are about 50 billion tons, 4.6% of global oil reserves, production costs are $5.7 per barrel, production capacity is 5 million barrels a day. In addition to strengthening the political influence in the region, Iran is participating in the Syrian conflict to satisfy its economic interests. The country wants to return to the world oil market as a key player. While Western countries are lifting their sanctions, Iran wants to establish "black gold"supply in Europe, to build a pipeline through neighboring Iraq and Syria. While Bashar al-Assad is still in head of the county and loyal to the government of Iran, this project is quite real. In the case of his overthrow, the prospects of the oil can be forgotten. Bijan Namdar Zanganeh, the Iran's oil minister: "Iran is determined to increase production by 500 thousand barrels per day which will definitely take place by the removal of sanctions, and within a few months it will increase to 1 million barrels per day. We will increase production at any cost. We have no choice, because if Iran does not do it, it will lose its market share." Iran has a serious assistance to the Bashar al-Assad government in Syria, and makes a significant contribution to the victory over the Islamic state. According to official information, the Iranian army is not deployed in the region. There are only Iranian present military advisers. Damascus uses military, technical, information and consulting support of Tehran. Alaeddin Boroujerdi, the head of Majlis National Security and Foreign Policy Commission: "In line with our anti-terrorism strategy, we have provided assistance- whether in arms or advisors- to Syria. The support is provided at the request of Bashar al-Assad. Any other request will be considered and discussed." The Hezbollah consists off thousand soldiers, five thousand reservists: ten motorized battalions, and six infantry battalions. The mediator of Iranian interests is the Lebanese Hezbollah that means the "Party of Allah." The experts estimated it as the one of the most organized, disciplined and effective military and political forces in the Middle East. Today the Hezbollah provides it activity in Syria, backing up the Bashar al-Assad government. With the support of Iran, the Hezbollah became a well-equipped army with the best fighters. According to the Lebanon media, during the war in Syria,about two thousand soldiers of the Hezbollah were killed. Hassan Nasrallah, the Secretary General of the Lebanese Shiite organization Hezbollah: "Syria remains a center of resistance in the Middle East. We stand side by side with the Free Syrian Army; we provide them military and moral support. And we will win! Because we are not driven by money, our army is not a mercenary as Saudis army. We are dying for the truth, the idea, for our land." The Army of the Guardians of the Islamic Revolution consists of 300 aircraft, 470 tanks, 366 field artillery guns, 6 submarines, 20 torpedo boats, and about 500 thousand people. The Army of the Guardians of the Islamic Revolution took an active part in the creation of the Hezbollah. It is an elite Iranian military and political formation, which was created over 30 years ago. It was created to assist the army in defending the independence, territorial integrity and the Islamic republican system. The Army of the Guardians of the Islamic Revolution, as well as the Hezbollah is actively involved in the war on the Bashar al-Assad side. However, it is not officially considered as Iran's military presence in Syria. Mohammad Ali Jaafari, the commander of the Army of the Guardians of the Islamic Revolution: "Tehran and Damascus established a strategic relationship. The Islamic Republic of Iran is close to the Syrian people and the government. The Army of the Guardians had only one unit, earlier, now we are the real power. And our main mission is to provide assistance to the people, who are under the pressure." Thus, Iran, as it was 30 years ago, is a key ally of Syria in the military issues. Providing support, Iran follows its geopolitical and geo-economic ideas. And it won’t give it up. The Bashar al-Assad overthrow and the impacts of the main opponents, the Saudis, can be a disastrous for Iran. That’s why the country is ready to use all its forces, including the military, to take the most convenient position in the region.